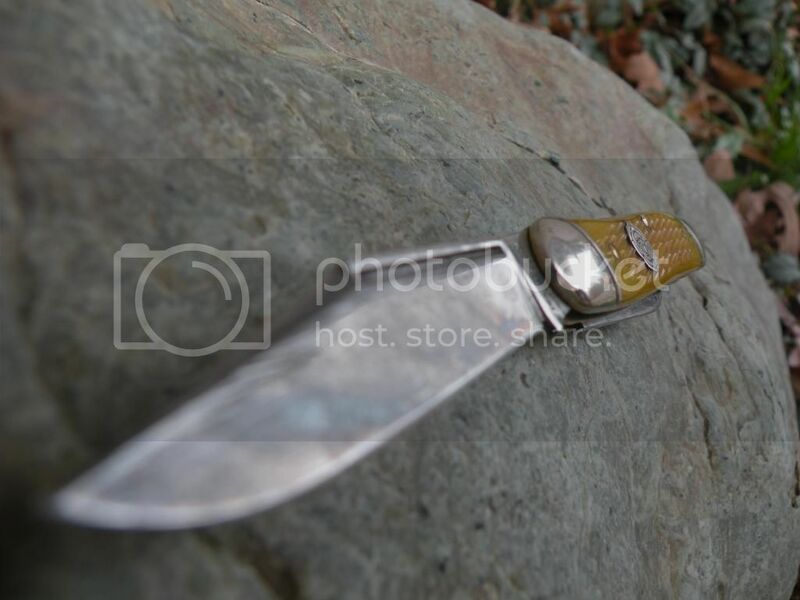 Discussion in 'Traditional Folders and Fixed Blades' started by rockgolfer, Jun 23, 2013. 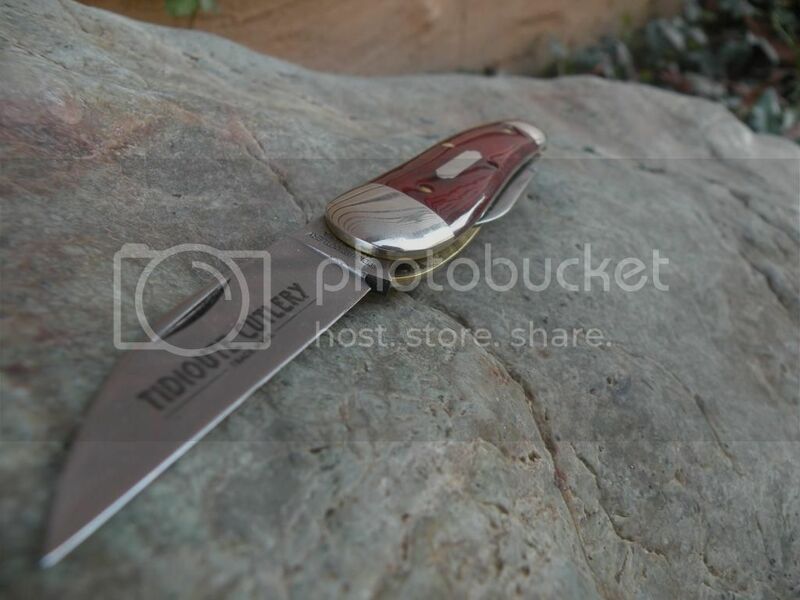 Today I went over to GEC's site and saw a finished picture of the new #79 workhorse single spring knife. I really like the looks of this one but I have a general question. I love that they are starting to use the coping blade as a secondary but so far its been only paired with a spear blade but, why no clip? Is their a historical connection to the pairing of coping with spear? Anyone else like this change? 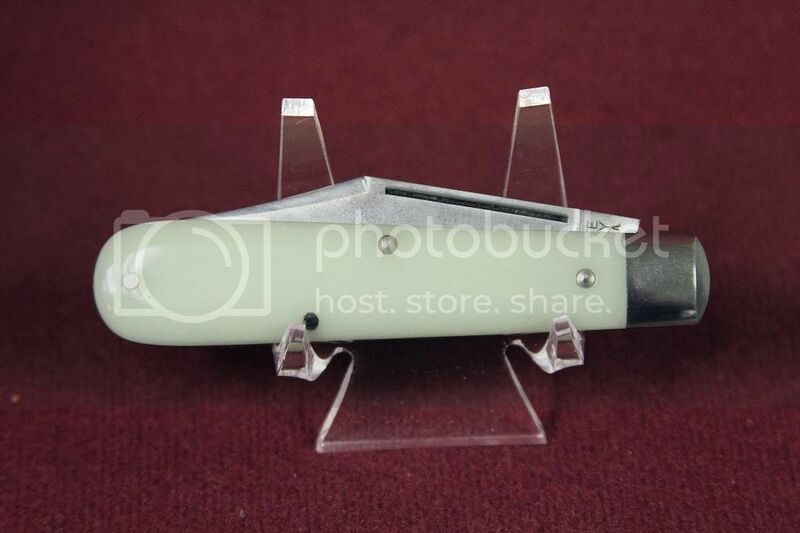 I wouldnt even mind seeing a little wharnie as a secondary either. At any rate I am just glad to see them stepping out of the box but the human nature in me cant keep from asking questions and dreaming ahead. I can't answer your question, but have a general comment of my own. The quality is perfect, I love many of their patterns, but get frustrated trying to find the variation I want in stock at a real dealer. 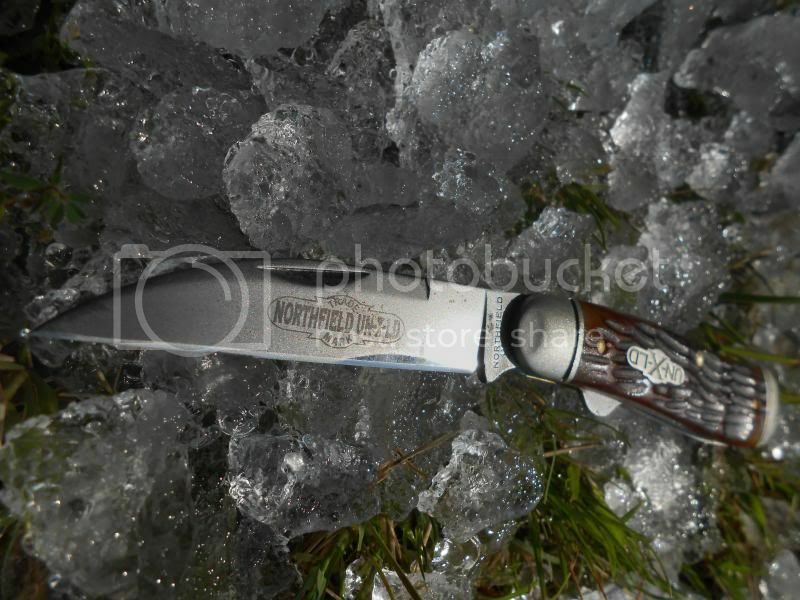 The #79 Workhorse looks like a mighty fine knife to me. Here are a bunch of random photos of my GECs. 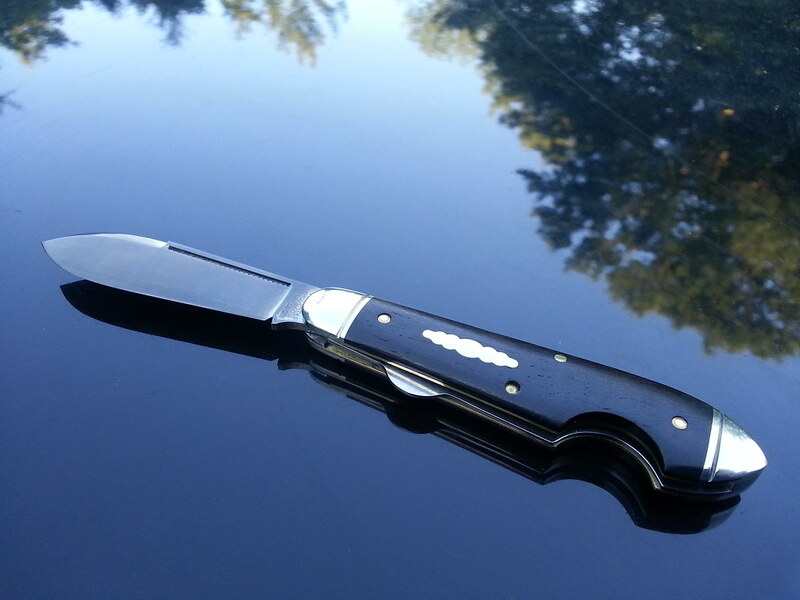 Great idea for a thread, all things GEC. My comment would be that I just cant keep up financially. They keep coming out with fantastic patterns faster than I can buy them all. I have an affinity for shields on traditionals, the right shield really classes up a knife for me. I wish GEC would use a bigger variety, ie. federal, bomb, etc. that would be my only shtick. 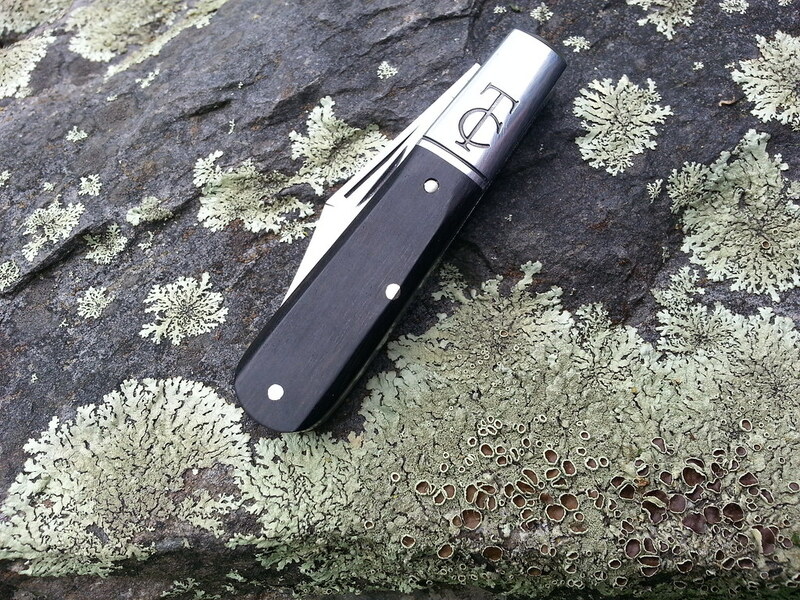 I love GEC and will continue to buy knives from them if only to support them. It's clear to me they read this forum and listen to us, because I am the curmudgeon who started the thread about how sharp their swedges were, and on my 68 Pony Jack, the swedges were rounded and are a pleasure to handle. This shows me they listen, and they care. Thanks, GEC. 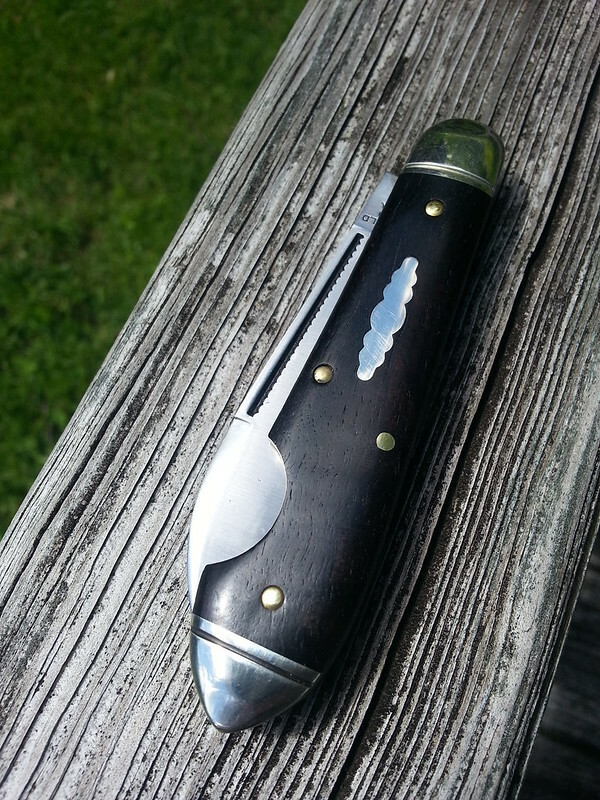 GEC makes absolutely fantastic knives IMO. They do listen and are always trying to improve their product. Yes, they make a bunch of patterns and can be difficult to keep up with, but isn't the variety great? Even many of their distributors can't stock every pattern and handle material when practically every week or two they come out with another one. 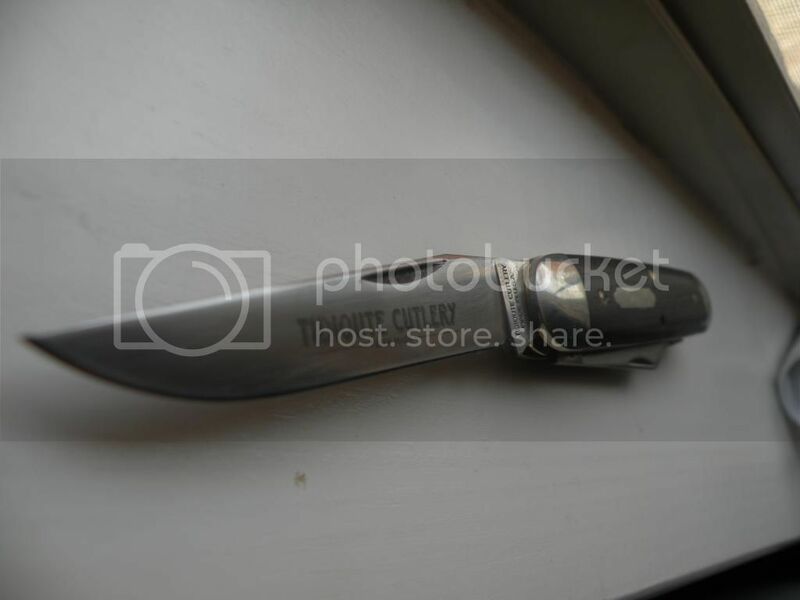 Bill Howard, owner of GEC, is a master cutler and designer, and he has the means to produce some extraordinary cutlery. I'm sure there's no end to the patterns in his mind, so if you missed out on one, there will soon be something else that'll grab your attention! I say we are living in the golden age of cutlery right now with such a great, basically hand-made product available, and the future... ? Who knows! I say we are living in the golden age of cutlery right now with such a great, basically hand-made product available, and the future... ? Who knows! It's about time I get into traditionals.. 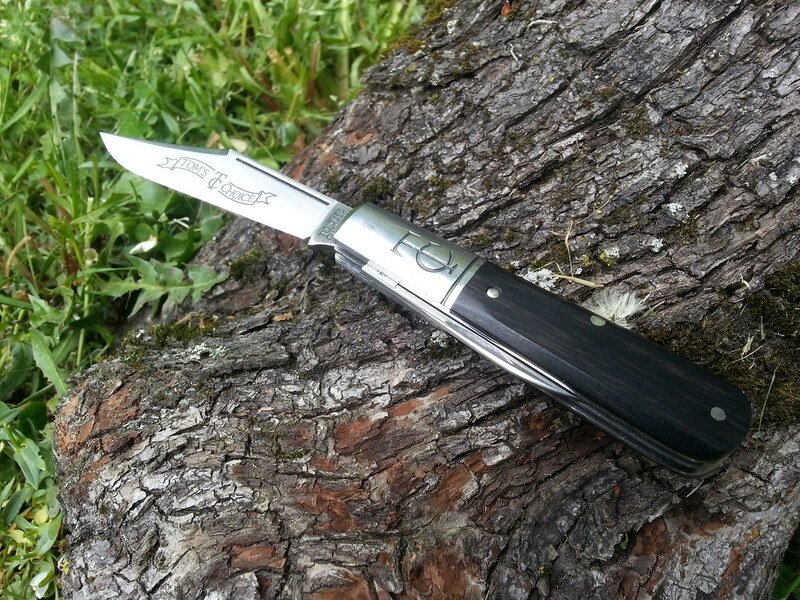 I'd like to try out a GEC, but the prominent writing on the blades really puts me off. I'm seeing in this thread there are some available without lettering, though, so that's reassuring. The etching comes off easily so don't let that put you off. What is this? 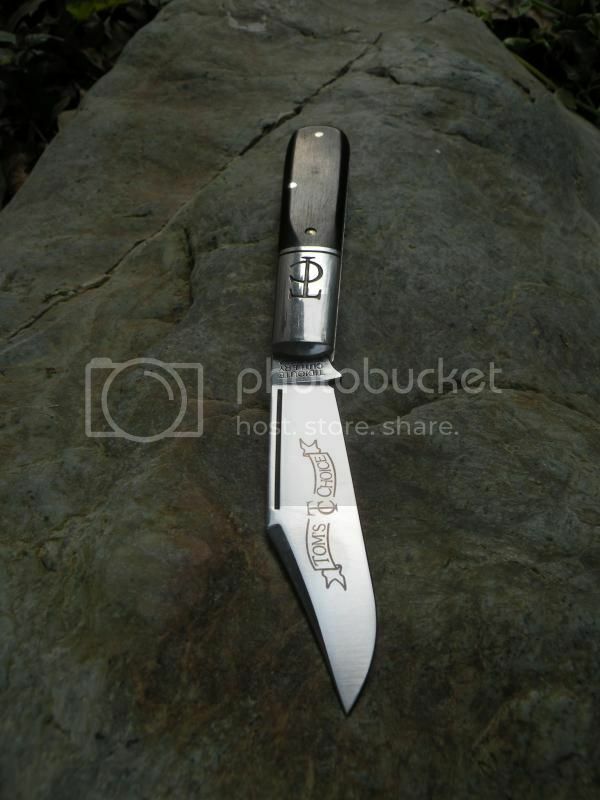 I have never owned but always kind of loved the Cub Scout knife. almost just bought one off the bay but the scales were shrunken. 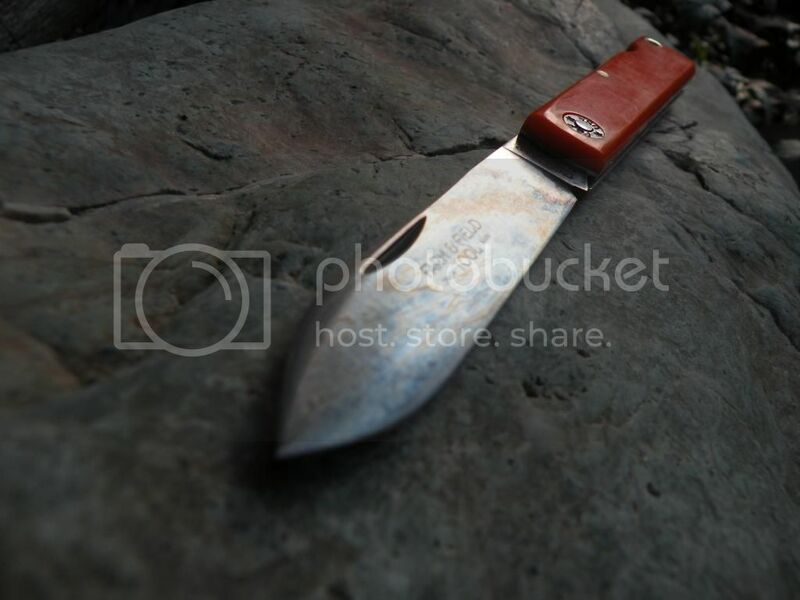 That is a Camillus scout knife. Kind of like a Swiss army knife. Knife, cap lifter/screwdriver, awl. 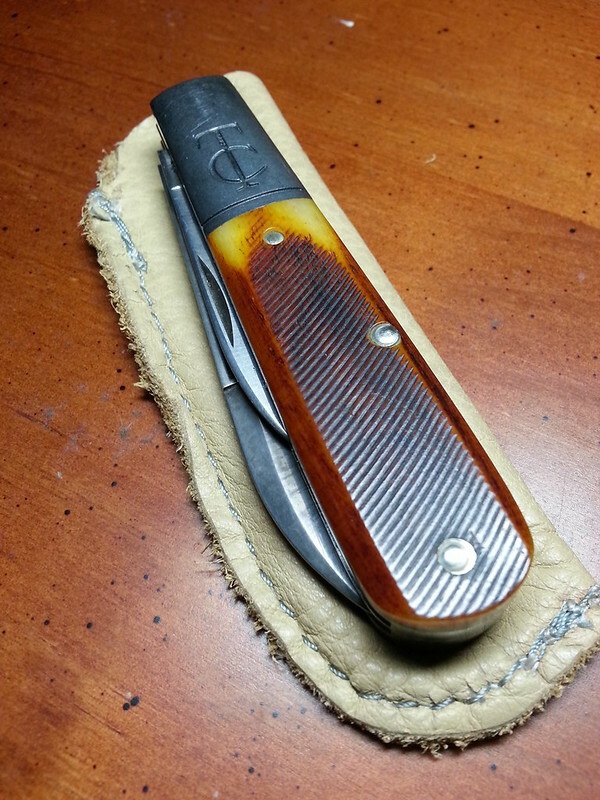 I want a GEC version of a scout pattern in the worst way. They've got to sell what they make ... every once in a while the "dealers" on this sub-forum will make a comment about a GEC that just does not take off with the type of Knife Nut that buys traditional slip joints. GEC "hits" more than they "miss" so we might assume they have a pretty good feel for what they will sell. Case in point (no pun intended) - I really like the fishing knife (bought two - getting ready to buy a third) but I would be curious to know how many they built versus any left in their inventory since I got the impression from several BF posts that it's reception was luke warm. 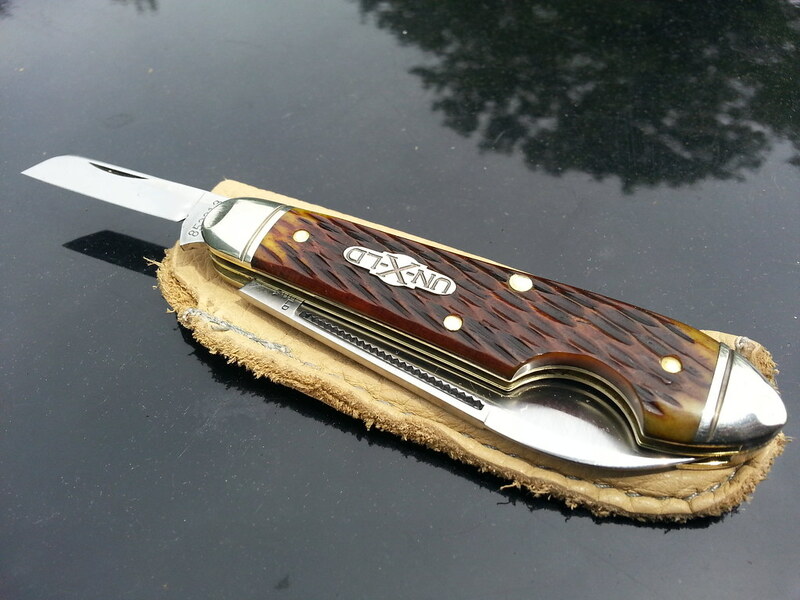 I'm very fortunate ... GEC makes my "Grail" knife. In fact my wife blames Jeff (... don't worry Rockgolfer, she doesn't know your real name ) for getting me hooked on the 66! She's wondering just how many of the same (from her perspective) pocket knife I "need" to own. Of course she also wonders why I have more than one pistol. My camera is dead so I can't post a picture of the NF cocobolo Calf Roper I just got from "Ed G" on BF. It is awesome! The fit and finish of this knife is as perfect as I require and I'm not worried about the factory edges because I'm going to sharpen them to my own tastes. I've tweaked the kicks on the spey and sheepsfoot to ride lower so its now exactly what I like in an EDC. 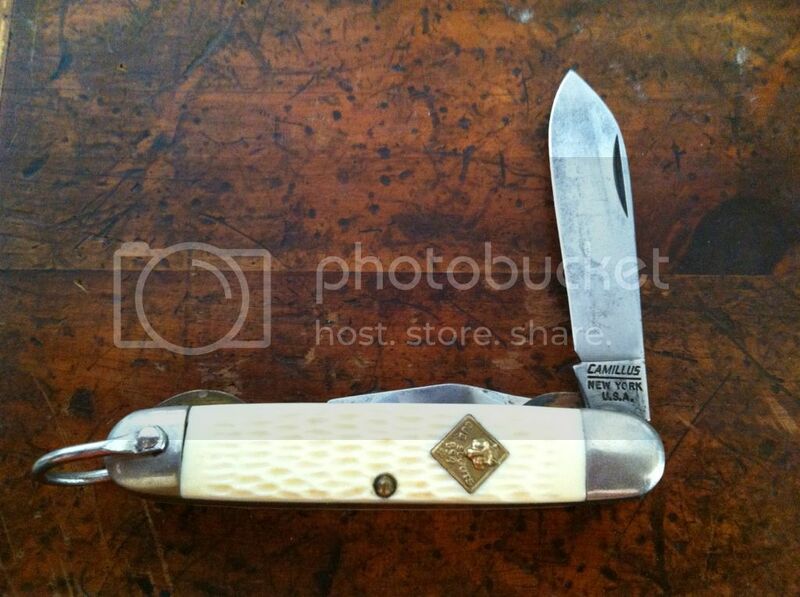 I would like to know why GEC seems to make small and large knives but the thickness of bolsters and diameter of pivot pins seem to remain fairly constant? I have actually had more trouble with larger knives having the pivots come loose than smaller knives, with GEC built knives. Or why when they go to the 4" plus don't they just go to stainless bolsters and pins? I ask this after having a little disappointment. Seems like as good a place as any. I have 4 of these. 2 cel which is shrunken but otherwise ok and 2 delrin which are perfect. I'd like to take a few ideas here and string them together to complete a question I was mulling over recently. 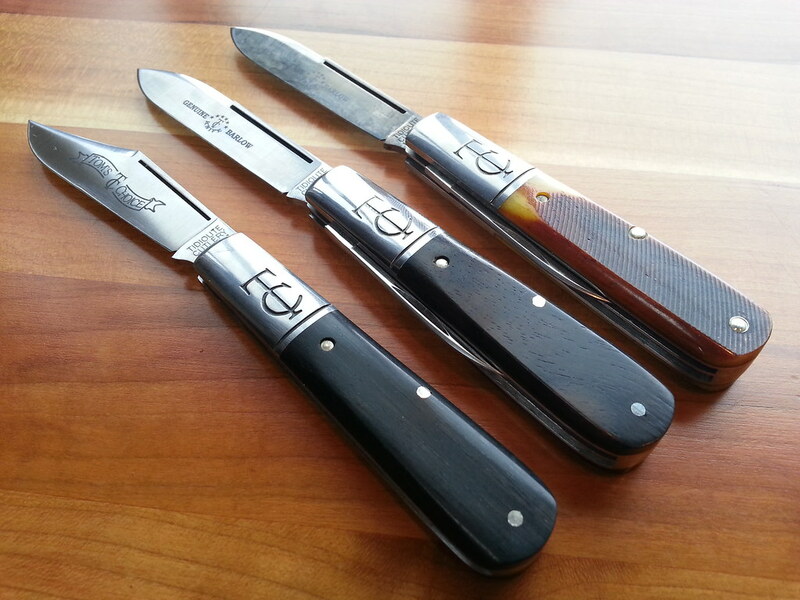 I do agree we are living in a great time to be a traditional knife fan, and GEC has really been turning out some great patterns recently (#15, #92, #68 pony jack, #55). I, too, arrived late to the traditional game and missed quite a few of GEC's earlier stellar releases (#66 jacks, #62 easy pockets among others). My concern right now is that GEC is so focused on developing new patterns or offering different blade configurations for established patterns that we'll never see any re-releases of previous pattern/configurations that are currently sold out.